The Common European Framework of Reference for Languages (CEFR) is a guideline used to describe achievements of foreign language learners across Europe. It was put together by the Council of Europe. Its main aim is to provide a method of assessment and teaching which applies to all languages in Europe. We also remind you that you can test your level of French here (if you wish). C2 CAN advise on or talk about complex or sensitive issues,understanding colloquial references and dealing confidently with hostile questions. CAN understand documents, correspondence and reports, including the finer points of complex texts. CAN write letters on any subject and full notes of meetings or seminars with good expression and accuracy. C1.1 CAN contribute effectively to meetings and seminars within own area of work or keep up a casual conversation with a good degree of fluency, coping with abstract expressions. CAN read quickly enough to cope with an academic course, to read the media for information or to understand non-standard correspondence. CAN prepare / draft professional correspondence, take reasonably accurate notes in meetings or write an essay which shows an ability to communicate. B2 1 CAN follow or give a talk on a familiar topic or keep up a conversation on a fairly wide range of topics. CAN scan texts for relevant information, and understand detailed instructions or advice. CAN make notes while someone is talking or write a letter including nonstandard requests. B1.1 CAN express opinions on abstract/cultural matters in a limited way or offer advice within a known area, and understand instructions or public announcements. CAN understand routine information and articles, and the general meaning of non-routine information within a familiar area. CAN write letters or make notes on familiar or predictable matters. A2.1 CAN express simple opinions or requirements in a familiar context. CAN understand straightforward information within a known area, such as on products and signs and simple textbooks or reports on familiar matters. CAN complete forms and write short simple letters or postcards related to personal information. A1.1 CAN understand basic instructions or take part in a basic factual conversation on a predictable topic. CAN understand basic notices, instructions or information. CAN complete basic forms, and write notes including times, dates and places. Upon arrival your oral and written level will be tested according to the European Framework scale and we will give you the results. 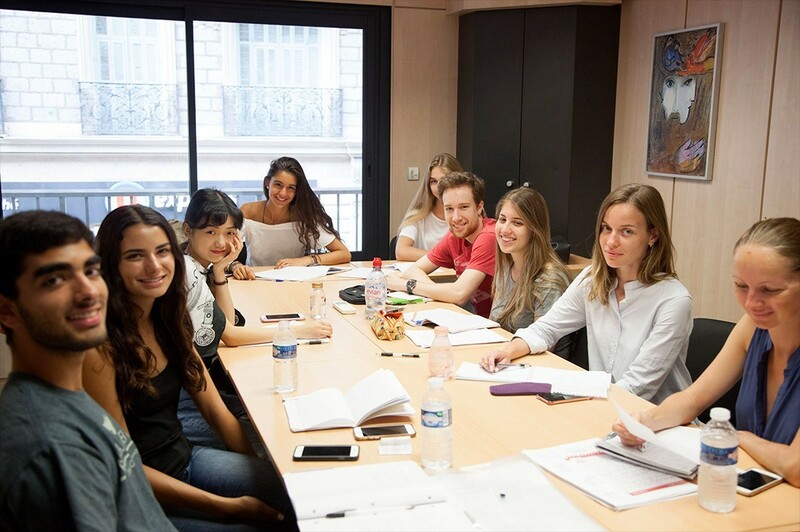 Upon departure you will be tested on your oral and written French and either your teacher or the Director of studies will inform you of the level that you have reached, enabling you to clearly see your progress. A certificate with the level you have reached will be given to each student.